Stay with us and visit one of the Top 6 most romantic Suffolk Valentine’s hotspots. If you’re thinking of treating your loved one this Valentine’s Day look no further. Mollet’s farm wants to put the roam into romance and we think our little piece of heaven has the perfect spots to get some fresh air, explore and make your Valentine’s day extra special this year. Don’t forget, if you book between now and 28th February we are offering a fantastic 10% off. Not only does this mean that you save on your stay in our luxury self-catering accommodation, but we will also create a relaxed romantic setting with romantic chocolates alongside a cheeky bottle of bubbles on arrival. So why not treat your significant other to a stay and head out to explore and enjoy one of these romantic Suffolk hotspots. Take a stroll hand in hand around the English Heritage’s beautiful Framlingham Castle. Take a picnic to enjoy in the grounds and listen to the fantastic stories that have shaped the castle’s fascinating history. The present-day external appearance of Framlingham Castle is virtually unchanged from how the castle would have looked to Henry VII or any of the visiting nobility to came from France and beyond to hunt in the deer park, which is now beautiful wetlands and fields. You might be tempted to serenade your loved one with some Ed Sheeran classics, as the local lad grew up here. In fact, his number 1 smash hit ‘Castle on the Hill’ was written about Framlingham Castle; you might even catch a glimpse of the man himself if you wander around the town and discover its other secrets. Did we mention the historic Framlingham Castle is only 15 minutes away from us? You can read more about the castle in our blog post. Is there anything more romantic than watching the sunrise with that special someone? Without a doubt, one of the most beautiful spots to do this is at Southwold. Watching the daybreak is the perfect way to ground yourself and spend some quiet time with your partner before the busyness of the day takes over. Be sure to head to one of Southwold’s lovely cafés to warm up with a hot cup of tea afterwards and warm your bones. There are plenty of other great things to do in Southwold for the rest of your day, from a tour of the lighthouse to visiting the Adnams Brewery. Get back to nature and surprise your other half by taking a beautiful beachside walk between Aldeburgh and Thorpeness. The route itself is a circular one which takes approximately 2 hours. But, why rush – take your time, take a flask (or a bottle of bubbly) and some nibbles and make the most of the peace and tranquillity or soak up the sounds of the waves crashing on the beach. You’ll also pass the famous scallop sculpture on Aldeburgh beach which was created to celebrate the life of Benjamin Britten, who co-founded the Aldeburgh Festival, which led to the creation of the world-class music venue at Snape Maltings. The walk is mostly level on public footpaths and an old railway line, though it may be muddy in places, so make sure you take sturdy boots! Explore the UK’s largest man-made lowland forest with a huge range of wildlife, flora and fauna to discover. 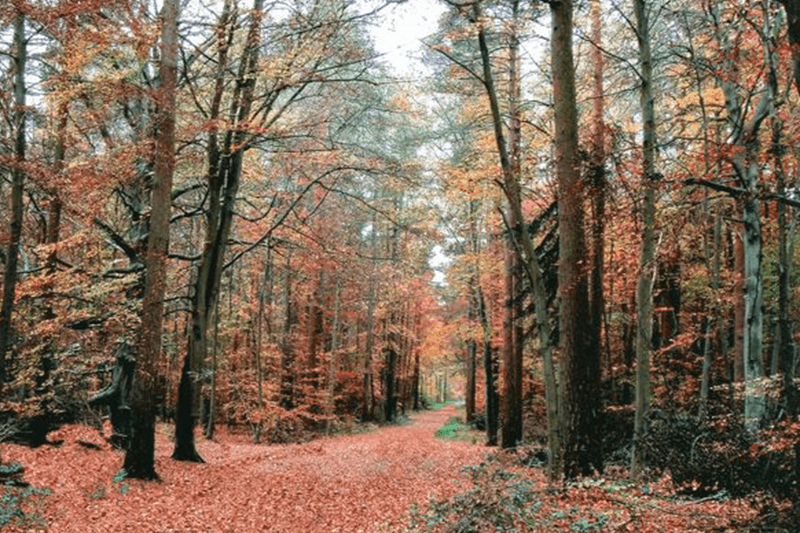 You might be lucky if you head to one of the walking trails at the aptly named Lynford Stag, as stags and deer can sometimes be found strutting proudly through the picnic area! High Lodge is a popular area with plenty to see and do. Why not find out if your relationship is up to the challenge with a visit to Go Ape? You just need to decide which of you is Tarzan! High Lodge also offers the free use of a mobility scooter and self-propelled manual wheelchair, although it is recommended to book in advance as it can get busy. 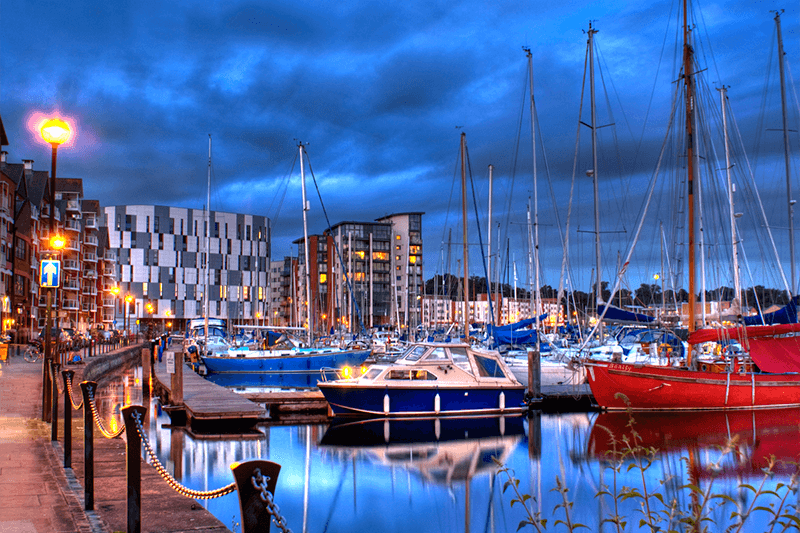 Get your glad rags on and head out on the town on Ipswich Marina. The waterfront as it’s known is host to a myriad of wonderful restaurants to suit all tastes. From great tasting high-end pub grub as Isaacs on the quay – a welcoming traditional pub with an oak beamed ceiling and excellent views of the marina – to Aurora serving high-quality delicious British Cuisine and decadent afternoon teas. Many places on the Waterfront will be serving Valentine’s Menu’s so be sure to book to avoid disappointment! The twinkling lights reflecting off of the smooth water of the marina creates a magical atmosphere. It’s the perfect place to sit and soak up the moment. Christchurch Park is one of Ipswich’s best-kept secrets. Home to Ipswich Music Day each Summer, the rest of the year this romantic spot is the perfect place to get lost for the afternoon. Take a picnic of lovely local Suffolk produce and really spend some quality time with your significant other. If you and your loved one prefer to add some history to your romance why not join one of the ‘tea walks’ that are going on in the area over St Valentine’s Day. Love is in the air is a themed guided walk around Ipswich followed by refreshments in one of Ipswich’s fantastic local cafes. You will hear the story of a Tudor Queen who married for love, the fate of some star-crossed lovers, and an arranged marriage which went horribly wrong. The tour ends at Christchurch Mansion with time to view the Kiss and Tell exhibition, featuring Rodin’s iconic statue The Kiss. The day after Valentine’s will be a special evening event at Christchurch Mansion inspired by the Sculpture. The evening begins with a chocolate workshop before a late night showing of Ghost, a perfect romantic movie choice! Be sure to book to avoid disappointment. So which romantic Suffolk location will you choose? To claim your discount just make a booking using voucher code 14FEB2019. Our luxurious self-catering accommodation is the perfect place to relax, unwind and spend some quality time with the person in your life you love the most.